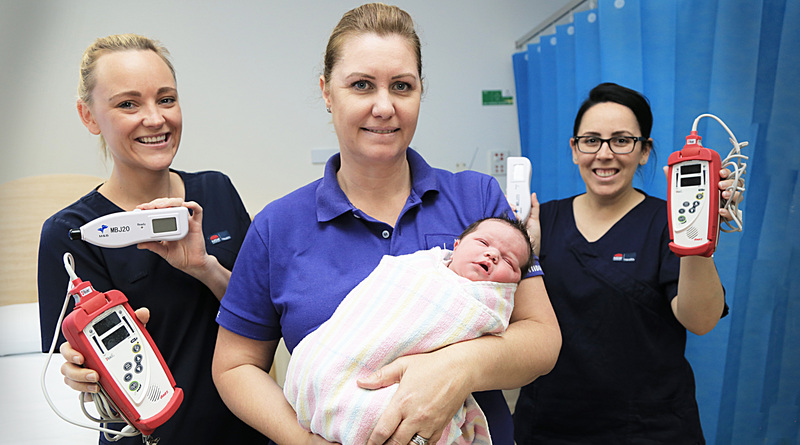 The Humpty Dumpty Foundation generously donated five Pulse Oximeters and two TCB machines to the Women’s and Children’s Health division at Blacktown Hospital. The Pulse Oximeters measures oxygen saturation and have small openings so sensors can be easily attached to little fingers and toes. The TCB machines are used to identify jaundice in newborns so it can be identified and treated quickly. It is cost-effective and non-invasive, compared to taking blood from littlies. The Humpty Dumpty Foundation has been operating for more than 27 years, providing essential and often life-saving equipment for sick and injured children in hospitals across Australia.